Padded where it counts, and with fine mesh where it’s most needed, these lightweight, breathable Bridgedale Multisport Cushioned Merino Wool Socks work hard to keep you comfortable whether your sport is running, cycling, gym work or a combination of them all. 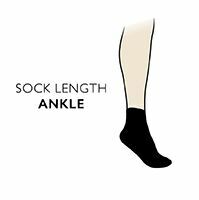 These British-made merino wool blend socks incorporate sophisticated Endurofil fibres increasing merino’s natural, thermal effectiveness and ability to wick moisture, while also improving durability. Enhanced breathability and air circulation is provided by a mesh structure upper that additionally cuts overall weight. Targeted cushioning at the forefoot, Achilles, under-heel and ball of the foot, and hand linked toes for smooth seams provides impact and blister protection.